I firmly believe that creativity is the birthright of every human being…and that it’s not always about making pretty pictures. It can be a powerful tool to unlock the wisdom of your subconscious, heal old wounds, and transform beliefs that have been limiting our potential. When we work together, you’ll discover this powerful tool for yourself. Most of these workshops are built upon the framework of Intentional Creativity. At its simplest, Intentional Creativity is just that: creating with intention. In this case, what we create is a piece of artwork with the intention of working through a specific inquiry or bringing a new business idea into form. If the workshop you’re interested in isn’t currently scheduled, you don’t live in the Chicago area, or you just want to dive deeper than we can go in a group workshop, I also offer these experiences to my individual clients. Are old, negative, or outdated stories taking up too much of your mental and emotional space? Let’s transform them into new Soulful Stories! 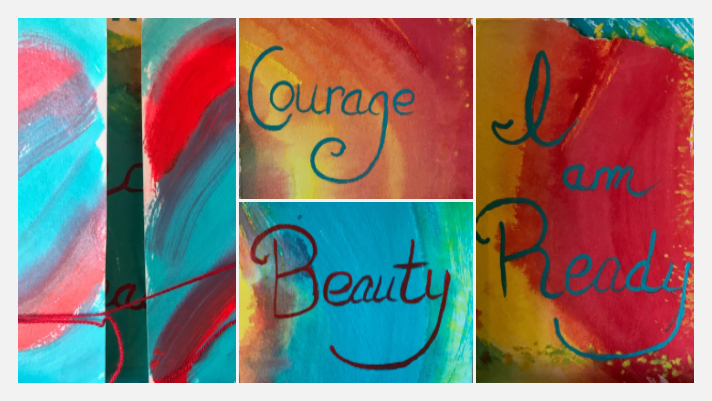 Soulful Story Affirmation Cards is an Intentional Creativity workshop where we examine the stories and beliefs about ourselves that we’ve taken for granted as true, and transform them into new understandings. We create a personal affirmation deck that you can use to reinforce the stories you choose to tell. Join me for a journey into the House of your Heart! 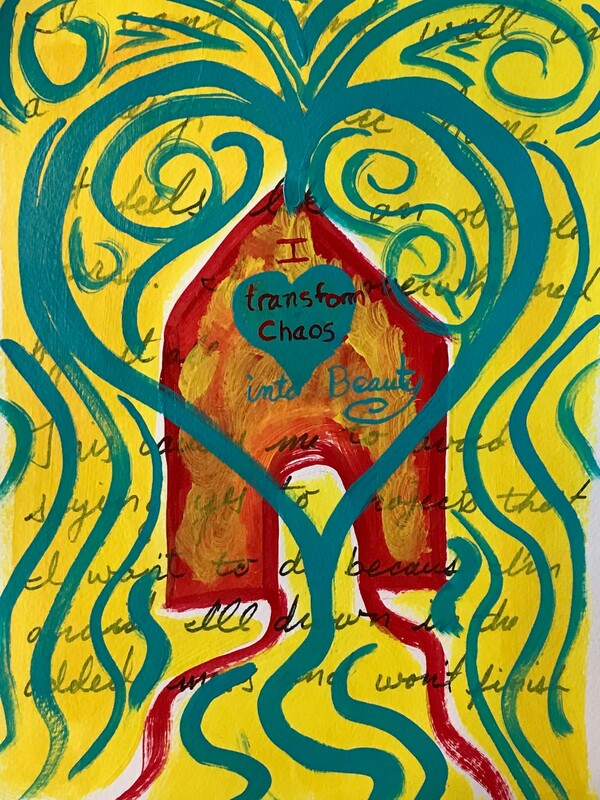 Through guided visioning, writing, and painting, we’ll create a colorful reflection of inner belonging and self-acceptance. We’ll acknowledge the stories other people have told us about ourselves, and choose to keep, transform, or replace them with new stories we choose for ourselves. What unique gifts and talents do you bring to the world? Let’s peek into your medicine basket and find out! In this workshop, we’ll dig deeply into our inner wisdom to find and claim our unique gifts. We’ll create a simple painting as part of the discovery process, which will remind you to bring those gifts into the world. Right Brain Business Plan Workshop – Begins May 5! Want a fun and creative way to plan for your amazing entrepreneurial success? Then come join the party at the Right-Brain Business Plan® workshop! You’ll roll-up your sleeves and craft a visual plan that lets your head know where your business is going AND inspires your heart to sing with joy. Are you struggling with a specific issue – or have something special you want to celebrate with a powerful Intentional Creativity experience? I love to design workshops around my clients’ specific interests and needs. Contact me to discuss details!